A Black Horse classic grille guard offers protection and will enhance the style of your truck or SUV. Whether you are off-roading or just driving to the office, Black Horse grille guards will provide complete protection to the front of your vehicle, all while improving the looks. Classic style grille guards from Black Horse Offroad are made from high quality steel tubing and offer maximum strength and a beefy look. This grille guard comes in either a modular design or one-piece design depending on the vehicle, and pre-drilled mounting holes are ready to be used for any auxiliary lighting you'd like to run. You can pick from a black or polished stainless steel finish. Black Horse makes installation a snap with simple bolt-to-frame brackets. 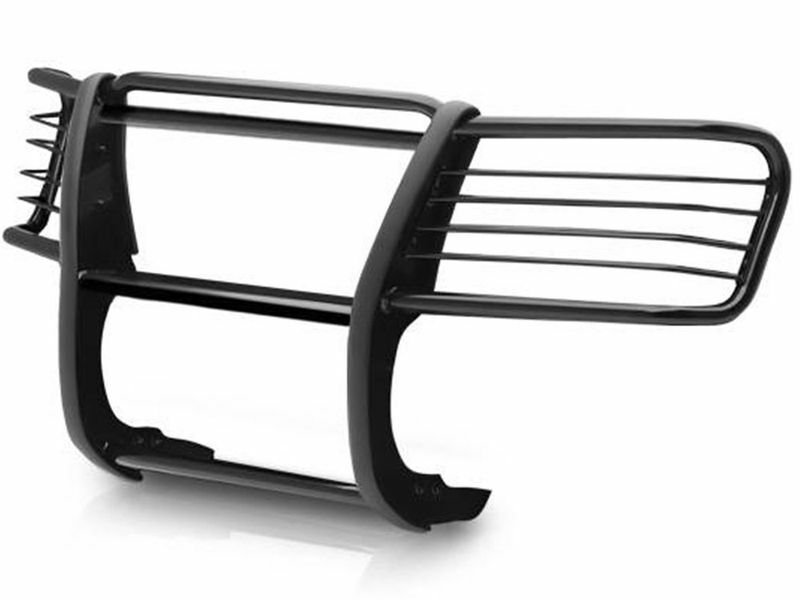 Order your Black Horse grille guard and give your ride the protection and style it deserves! These grill & brush guards from Black Horse Offroad come backed by a limited lifetime warranty on stainless steel models and a three year warranty on black models against any defective materials or workmanship. Installing a classic grille guard is pretty simple. Custom fit brackets are included for a proper installation. All the necessary hardware is also included. All you'll need is about an hour of your time and a few common hand tools. The installation instructions are easy to follow along. If you have any questions or would like to get any additional information please feel free to give us a call.